Pdfbeads is a small utility written in Ruby language. It takes care of the simple task of converting scanned page images into a single Portable Document Format (PDF) file. It has the capability of separating the scanned text from pictures/images and encodes data into its own layers with compression and better resolution. Let’s see how we can install this tool on Ubuntu Linux 15.04. 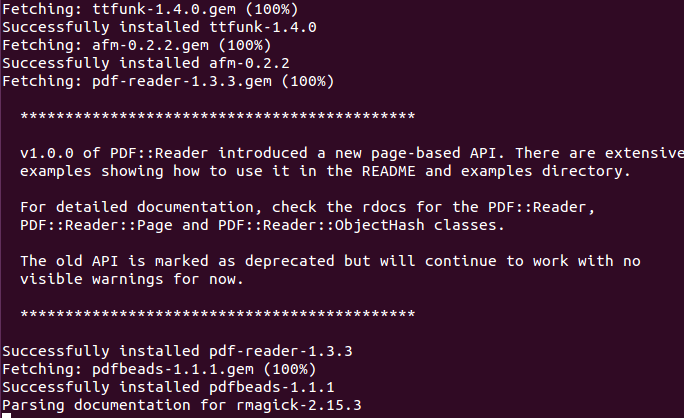 In order to successfully install Pdfbeads, we should have ruby installed on our Ubuntu system. Here are steps to install Ruby on Ubuntu operating system. Download the source file for Ruby by running the following command. Once the download process is complete, run following command to extract the downloaded file. 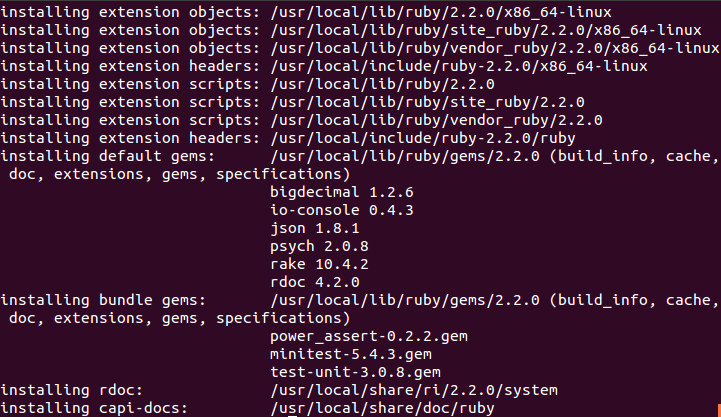 Now run following command to complete the installation process for Ruby. This is how successful installation process should look like. 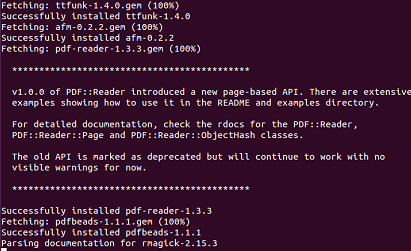 Once Ruby has been installed, run following command to install libmagickwand (It is also required for pdfbeeds). Our Ubuntu system is all set to install Pdfbeeds now. Run following command on the terminal to install it. It will take few minutes to download all required components and install them. Congratulations, Pdfbeeds has been installed on your Ubuntu system now. Pdfbeeds is a tiny yet useful utility, installation process might be tricky for some users, but we have tried to document it as simple as possible. If you are facing any errors or issues, do let us know in comments.